Origin is offering selected free games across limited times, and sell the promotion with cheap prices for PC games, it let you sign in to have your whole game library in your account "Origin". You just enjoy your favorite games from your gaming PC at home or anywhere else you play! 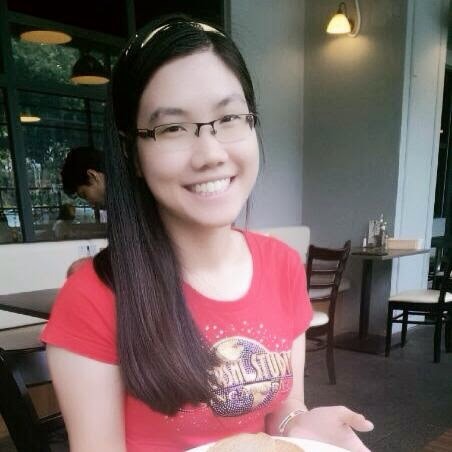 It is similar as the way to using the Playstation Plus Network. 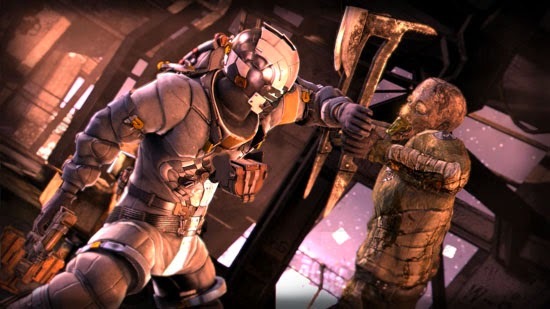 Electronic Arts' third-person shooter survival horror game Dead Space is FREE to download via the Origin platform until May 8, 2014. 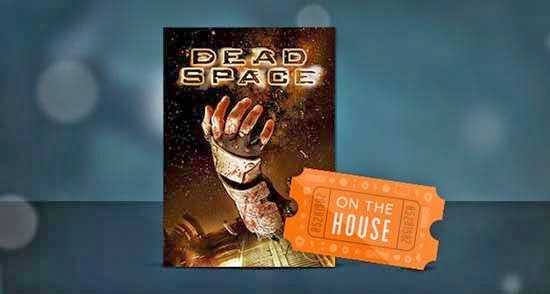 First time, EA give away the FREE Dead Space for PC gamers! 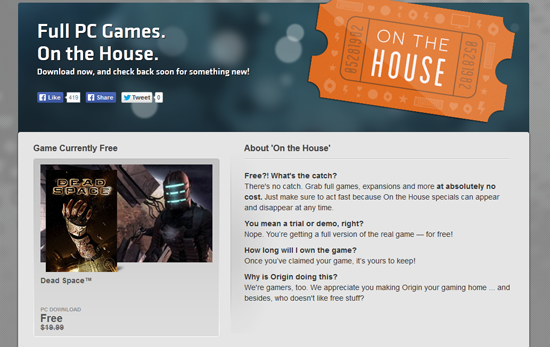 It make PC gamers are very happy to get good chance to play the survival-shooting game, Dead Space through Origin's On the House! 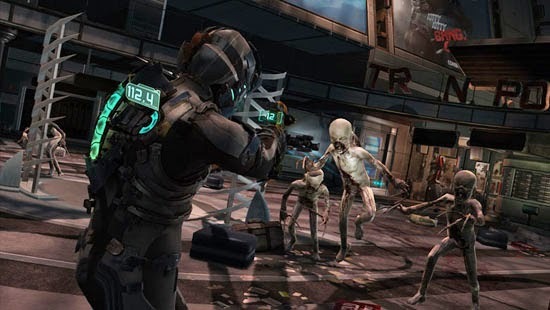 The game is the first in the Dead Space series, make you play an engineered named Isaac Clarke who battles Necromorphs; reanimated human corpses on a space ship. In Dead Space, you have to track down any sign of the woman he loves in the ugly ship while you are on the quest to find about how to go out from the space. For me, this game is very horror, make you felt scarier! I never play this game, but later I will play it because I busy to complete other games on PS3! 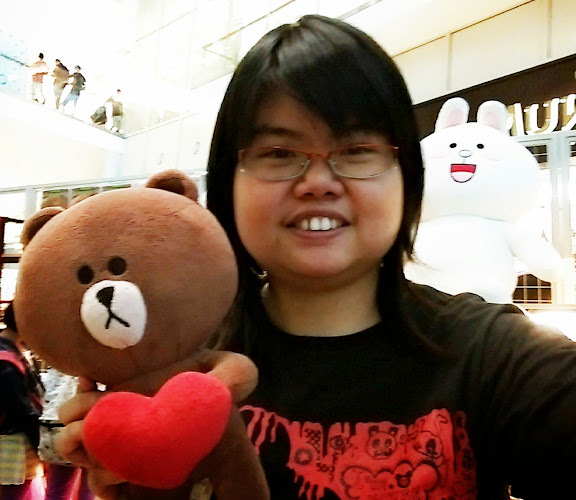 I played the horror-survival shooting games in the modern story on many times, just like Resident Evil. First time, I see this trailer below as the Dead Space is very cool as I never see 'new' space weapon which used to shoot the monsters so easily! Sometimes, I hate to use gun, depends on the different type of gun that I preferred but, I love to use combat-martial to hit the monsters! Now, I guess that maybe Dead Space is around RM 150.00 for PC version. You sure get horror experience while you first-time play it! It have an incredibly atmospheric and disturbingly gruesome deep-space adventure scenes, then it will haunt your dreams and leave you begging for more. Hehe!